Alright, your ad types have been selected, creative content has been produced, and your Facebook marketing campaign has been optimized. What should your next move be? Deciding whether or not your Facebook marketing efforts have been successful is going to be a fairly straightforward process. Did your page acquire the fans you wanted it too? Have the campaign goals been met? These results can be measured simply enough. Hopefully, you will feel that your efforts have been well worth it. It is also important to measure the less noticeable aspects of your Facebook marketing efforts. For example, your efforts will also provide you with information regarding the types of people that are most interested in the products or services that your business has to offer. Additionally, you will have gained insight into what types of content produce the most resonance with your business’s targeted demographic, as well as information about the keywords that have provided you with the best conversion rates. When examining this data, individual ad elements can be isolated to evaluate their potential effectiveness over a long term campaign. Interesting data and trends can also be evaluated for potential use in the future. 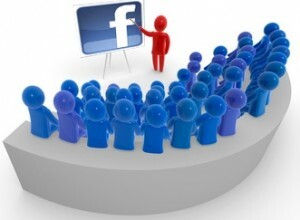 The information that you have obtained can also be put to good use for future Facebook marketing campaigns. There are a plethora of different ad types and options available to advertisers. It is time for you to take advantage of them. You will be able to build better brand awareness and garner more fans and likes for your Facebook page by targeting individuals who you believe will be interested in what you have to offer. For example, if a significant portion of your fans are college educated, then you might want to consider the effectiveness of targeting college alumni. Once you have gathered even more fans, think about how you can make them work for you. It is not simply enough to gather the fans. You have to keep them interested to keep their attention engaged. To offer an example, Facebook offers a new service called Offer Ads for business owners. This allows you to create coupons for your business’s services or products through your company’s Facebook page. Other services that Facebook has to offer that you might want to consider trying include Page Post and EdgeRank. The information that you have gathered during your Facebook marketing campaign can also be put to use outside of Facebook as well. In fact, this information can be used as the cornerstone for an entirely new marketing initiative. For example, through trial and error through different keywords, perhaps you have stumbled upon a collection of potential business leads that you never would have known about otherwise. Now, you have a more comprehensive understanding of your client base as a whole. Mastering a Facebook marketing campaign effectively is not easy to do. If you need assistance, please feel free to contact us here at Webati for a free initial consultation. We will be more than willing to help you take your business to the next level through social media platforms.